Keep your pony in style with this WeatherBeeta standard lite pony sheet. This WeatherBeeta sheet features a tough 600 denier outer shell that will help resist snares and scratches. 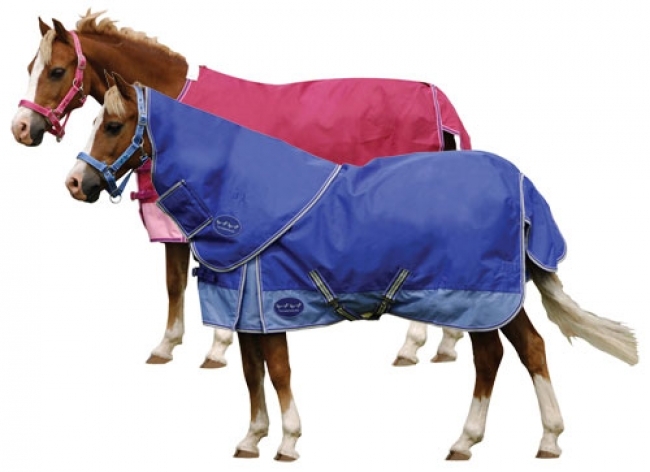 This pony turnout sheet is 100% waterproof and breathable to help keep your pony dry and warm. Finished off with full nylon lining and adjustable/removable leg straps that are sure to please. An all around great quality WeatherBeeta pony sheet. Does not come with neck attachment. Nylon lined shoulders prevent rubbing. Shoulder gussets for freedom of movement. 220 Grams of warm polyfill.